The real long-term trauma crisis is threatening to destroy Unai Emery’s first season at Arsenal. On Friday, Arsenal formally bid farewell to their third domestic cup tournament, losing to Man. United 1-3 at Emirates Stadium and stopping in the FA Cup fourth round. Earlier, in December last year, the Gunners were also eliminated in the League Cup quarter finals when losing to North London rivals, Tottenham. 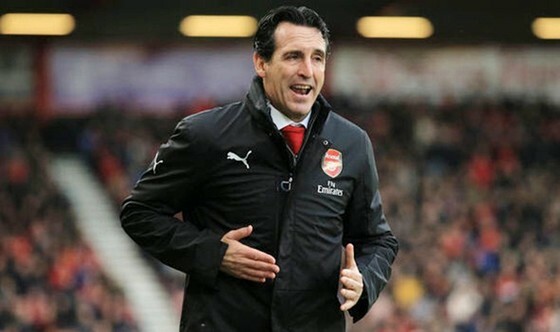 At this point, Emery’s side ended their hopes of competing for the title in the Premier League, when Liverpool’s first place was 16 points. The remaining goal of the current season is to compete at the top 4, when the Gunners are ranked 5th and 3 points behind the top ranked team, Chelsea. In the mean time, the most likely title they can aim for is the Europa League, while in the 32nd round and the opponent is BATE Borisov. However, the theory continues to be seriously threatened, because Arsenal is now witnessing the squad collapse due to the injury of the pillars. 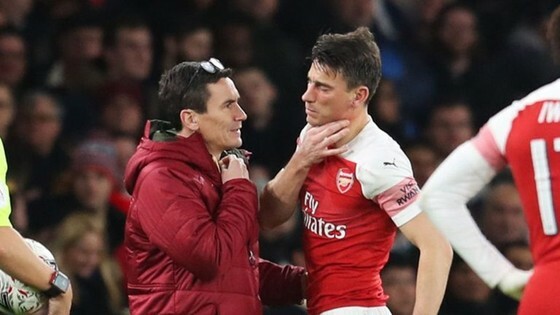 Most recently, captain midfielder Laurent Koscielny has just returned after nearly half a year of Achilles tendon injury, was suspected of having a jaw fracture in a Man. United defeat. Also in this match, another midfielder Sokratis Papastathopoulos had an ankle injury. Earlier, they were told that the right-back Hector Bellerin had to take the rest of the season because of a knee ligament injury, and another midfielder who faced the same situation was Rob Holding. It is unknown what coach Emery will receive from the board of directors in the January transfer market, knowing that in the short term, his first season in English football is full of bad luck.